The major physical signs of wood are sinewy tendons and a hard body. Wood people either look like tall trees or shorter, more compact bushes. Wood people constantly need to be “doing” something. They enjoy arguments and discussions. They feel compelled to exercise and love to work hard. They are seen as aggressive and assertive and often hold their hands in clenched fists. Wood people are action oriented and quick to take offense. Their rashness can lead to accidents. They are also prone to injuries of overuse such as strained, pulled or torn muscles and tendons. In severe cases of overuse of the wood element, they will create conditions like Parkinson’s where movement and coordination is compromised and ultimately impeded. The other scenario that occurs with wood deficiency is various conditions of exhaustion including chronic fatigue. Wood people have very strong livers and enjoy processing toxins, whether emotional- caused by anger or chemical- as in drugs and alcohol. However, they can become toxified and create wood stagnation especially when they do not release old anger and resentments. This leads to sensitivities to environmental toxins or problems like nausea and headaches. They are also prone to addiction. Wood people resist aging and fight the weakening of their bodies and try to maintain their previous levels of activity both physically and emotionally. They need to maintain flexibility instead of rigidity. The wood person should have a tall and slender body; their strength is in their ligaments, tendons, and sinews. They may have a darkish face and fairly broad shoulders. The wood element represents growth and awakening. Its nature is expansive and provides a sense of direction for achieving goals. The wood type is very socialable, and can turn ideas into profits and resolve problems. They are hard workers and have good verbal skills, and are extroverted who enjoy completing tasks. They tend to have strong tempers, and will easily get frustrated especially when others don’t come through with their obligations. They may have a tendency to spread themselves out too thin, and may have difficulty expressing their innermost feelings, while feeling inadequate. They can handle tremendous amounts of pressure and strict deadlines. The wood element relates with the liver and gallbladder; the negative emotion is repressed anger or rage towards one self, others, or both. The positive virtue of wood is kindness. The wood element controls the sense of seeing and opens into the eyes. The sour taste helps to move the blood of the liver. Individuals deficient in the wood element may be prone to sudden outbursts of anger, and problems with the nerves, eyes, and tendons. Green reflects the wood element, and helps overcome a deficient wood state. Other things that support the wood element are constructional materials of wood, as well as wood shapes such as a column or tower. Forests, plants, and other forms of vegetation compliment a deficient wood type as well. The wood person should avoid eating foods that are greasy and fried. If they notice that they suffer from anger-related issues, then adding sour foods such as lemons, limes, and vinegar to the diet would be very beneficial. The liver is located in the upper right part of the abdomen. It is connected to the rest of the body through channels in the right and left side of the ribs. The main functions of the liver are smoothing and regulating the flow of vital energy and blood, storing and regulating blood, and having relations with tendons, nails and eyes. Smoothing and Regulating the Flow of Vital Energy and Blood The liver is often compared to wood in TCM, as both trees and the liver tend to “spread out freely”. The liver’s function is to spread qi throughout the body freely. There are three ways in which the liver accomplishes this: regulating mind and mood, promoting digestion and absorption, and keeping qi and blood moving normally. According to TCM, the heart and the liver control mental activities of humans. When the liver is functioning well, it is able to regulate the flow of vital energy and blood, which contributes to mental healthiness, resulting in happiness, relaxation, and sensitivity. But when the liver does not function well, it results in anxiety, sighing, sadness, and belching. When the liver is in very bad health, it may result in dizziness, headache, insomnia, and nightmares during sleep. The liver’s function of regulating the flow of energy in the body aids the spleen in distributing nutrients and water in the body, and therefore, contributes to good digestion. An unhealthy liver can affect the spleen negatively, resulting in poor appetite, belching, vomiting, and diarrhea. The liver’s function of regulating the flow of energy in the body affects the flow of qi. If the liver is not functioning well, the flow of qi is affected negatively, and it may result in pain in the chest or lower abdomen. 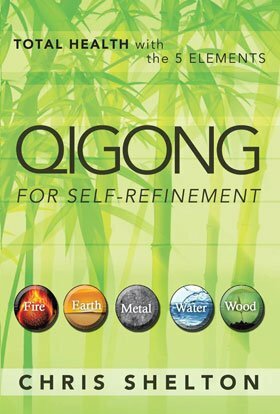 Qi directly effects the circulation of blood, and so when the liver does not function well, the circulation of blood is obstructed, and it results in pains in the chest and lower abdomen, tumor, abnormal menstruation, dysmenorrheal, and amenorrhea.